Business to begin at Spera Pharma, a new company that provides outstanding CMC services. | Spera Pharma, Inc.
Business to begin at Spera Pharma, a new company that provides outstanding CMC services. Under a strategic partnership with Takeda Pharmaceutical Company, the Bushu Pharmaceuticals Group began conducting business on July 1, 2017, after a group of specialized CMC researchers and technicians at Takeda Pharmaceutical Company created Spera Pharma as a Takeda spin-out organization and 100% subsidiary of Bushu Pharmaceuticals. 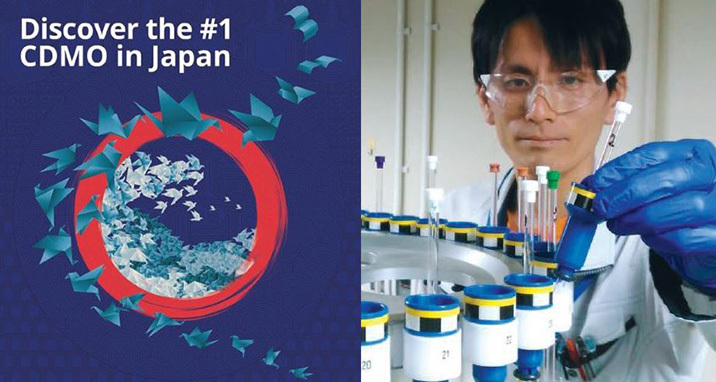 The research staff at Spera Pharma consist mainly of CMC experts from Takeda Pharmaceutical Sciences’ Process Chemistry (formerly the Chemical Development Laboratories), Formulation Development (formerly the Pharmaceutical Technology R&D Laboratories), and Analytical Development (formerly the Analytical Development Laboratories). By refining and sharing our accumulated technologies and expertise, we will provide an even broader range of outstanding drugs, as well as services to create innovative pharmaceutical products. A wide range of CMC-related services can be commissioned. In the Chemical R&D Division, these include the development of drug product manufacturing methods and quality designs, the construction of supply chains, the drafting of application strategies, and the creation of application documents. The Pharmaceutical Technology R&D Division enables the design of drug products and packaging, the GMP-compliant manufacture of investigational drugs, scale-up studies, and the handling of IND/NDA applications. The Analytical R&D Division estimates the structure of impurities, carries out physicochemical- and microbial-related tests, and handles IND/NDA applications. By building on Bushu Pharmaceuticals’ broad range of contract drug manufacturing services (as Japan’s largest-scale specialist CMO), through the introduction of Spera Pharma’s CMC-related service outsourcing functions, the Bushu Pharmaceuticals Group will be reborn as a true Contract Development and Manufacturing Organization (CDMO). The Group will be able to offer a one-stop service, covering all relevant processes, from the initial stage of drug development to the application and manufacture of commercial products.